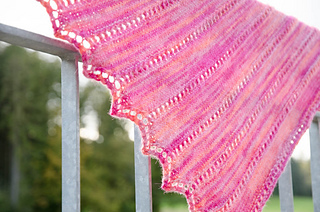 The Candied Apples shawl is an asymmetrical piece that is knitted sideways. 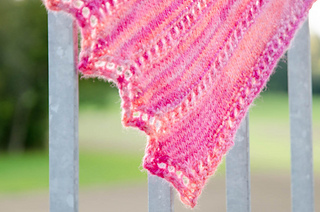 It has a zigzag edge on one side, which makes for an interesting shawl. 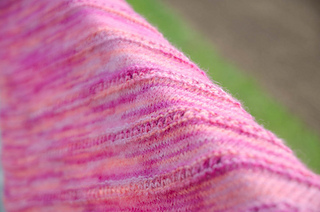 It also features a combination of stockinette stitch and lace knitting for a more intricate texture. 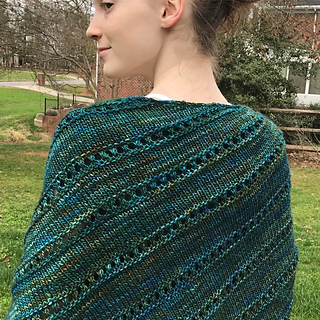 I originally designed this shawl pattern for my friend who is a beginner in lace knitting, and I have since made it simpler to make it easy to understand. 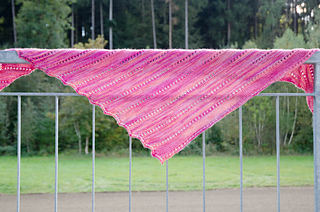 You can use hand dyed or variegated yarns for this shawl — any kind of yarn will look great with this pattern. 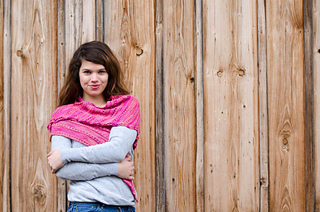 You can even use thicker yarns so you can use the shawl this winter. 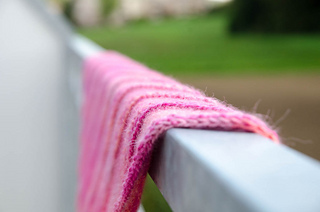 The pattern is adjustable, I give instructions how to adjust to your yarn. The pattern contains charted and written instructions. The pattern was tech edited and tested. US 6 4 mm 32” 80 cm long - Choose a needle with you get a nice tension in stockinette stitch (not too loose, not too tight) - mostly works what is written on yarn band.